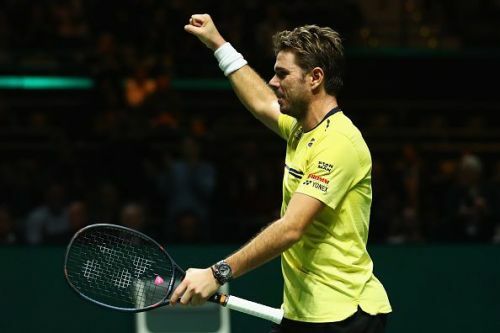 The 2015 Rotterdam Open champion Stan Wawrinka faces the 2016 runner-up Gael Monfils in the final of the 2019 edition of the ABN Amro World Tennis Tournament. This is going to be the sixth time that these two are going to lock horns against each other. 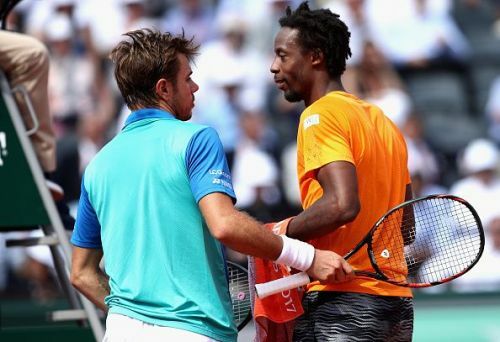 Of the five matches they have played, Wawrinka has won three to Monfils’ two. On hard courts, it is even stevens with each player winning twice. Monfils came out victorious in the only match they played on an indoor hard court, way back in 2010 in Valencia. It is surprising to note that two players of such pedigree have met each other only once in the last eight year - a fourth round match at the 2017 French Open which Wawrinka won in straight sets. The head-to-head record between them gives no conclusive indication of who may have the edge in the final. Their recent performances, however, show that Monfils has enjoyed better form and consistency in the last couple of years. Though neither player is anywhere close to their very best, Monfils is ranked 33rd in the world now to Wawrinka’s 68th. Regardless of the result in this match, both are going to see a significant rise in their rankings. This match is especially important for Wawrinka, considering this is his first final appearance in almost two years. If his victories over the two Canadians, the experienced Milos Raonic and the next-gen star Denis Shapovalov, were strong indicators of him getting back into his groove, his win over the top seed Kei Nishikori in the semifinal seems to have put to rest any doubts over his form and fitness. Though he served big against Nishikori and had eight aces to none by the Japanese star, it was his attacking return game that proved to be a major factor in his victory. Moreover, in the past Wawrinka has usually continued to build on his momentum; in the later stages of a tournament, he becomes an unstoppable force. But the man he will meet in the final, the enigmatic Monfils, is also enjoying a great week in Rotterdam. The Frenchman was involved in a very physical game against an in-form Daniil Medvedev, but came away the victor in a match that lasted almost two and a half hours. Though an 83% first serve rate may suggest that Monfils had a great serving day, he was almost rolling in his first serves for much of the match. It seemed like a tactical decision by Monfils to engage the young Russian star in long rallies. 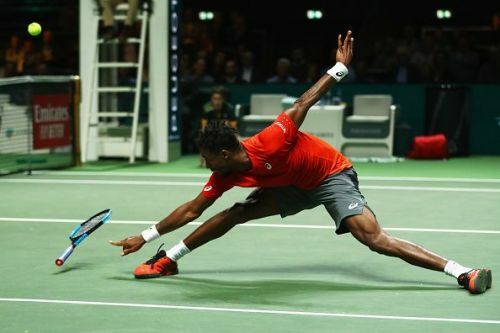 Though Monfils had mixed success at the start by deliberately slowing down the game and not offering Medvedev any pace to work with, eventually it paid off as the Russian star grew increasingly frustrated with the general lack of speed interspersed with the sudden infusions of pace by Monfils. After that impressive win over Medvedev, Monfils would be really confident in his game. But his record in tournament finals is abysmal and in Wawrinka, he will meet a player who usually reserves his best for the last. At the moment, it is the Swiss star who looks like the favourite to lift a second Rotterdam title. Prediction: Wawrinka to win in 3 sets.